For personalized reservations and group accommodations call 831-372-5000 to reserve the nicest available rooms during your stay. Normandy Inn welcomes individuals, families, golf and business groups. By using free local Carmel Area Reservation Service for event planning for your special event and meeting you relieve yourself of time. You receive the best available room rates and availability for your room block and in a timely manner. Everyone in your party will enjoy staying at this dandy inn! 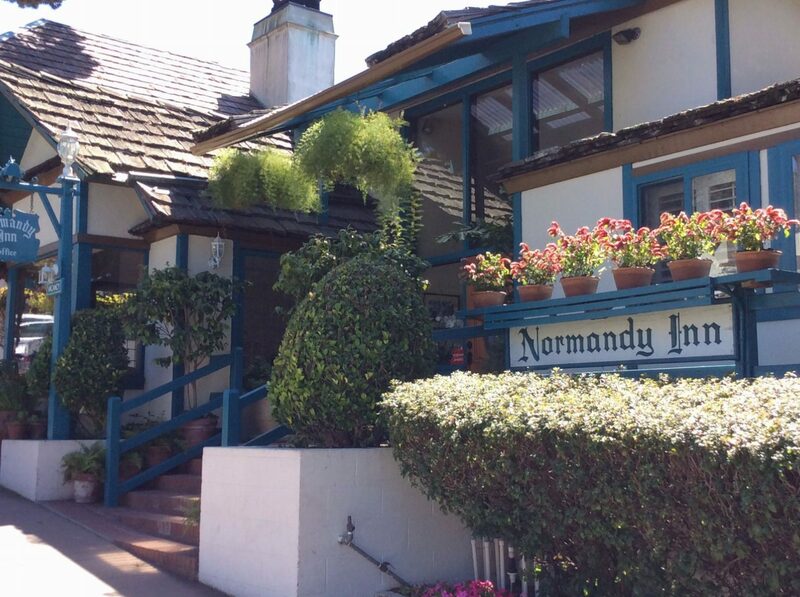 The Normandy Inn is located on Carmel-by-the-Sea’s main street , also known as Ocean Avenue. Its cozy French Normandy ambiance provides the warmth, charm and comfort you would expect of this world famous artist colony. Easy walking to Carmel’s world-renowned restaurants, quaint shops and famous art galleries and only a couple of short blocks to world famous Carmel Beach offering water views and fabulous sunsets from the white sandy shore, with waves crashing in. The gate into Pebble Beach is only a stone’s throw from this unique inn. The inn’s delightfully decorated rooms offer Kings, Queens and Twin size beds, some with fireplaces and vanity dressing area. There are some family suites, romantic mini suites and several quaint and charming. In each room there are coffee makers and full bath. Many rooms offer fireplaces, refrigerators, kitchen, two beds and/or dressing area with the beach near the backyard. The cottages offer 3 bedrooms, a living room with fireplace and sofa sleeper, cozy kitchen with dinette, a small yard plus each cottage has 2 bathrooms. It is a true Carmel by the Sea experience when you stay at the Normandy Inn! A fountain flows into the swimming pool located on their nicely landscaped patio for the guests enjoyment and recreation. Close to the beach, restaurants and art galleries for added convenience with charm and comfort that will enhance your time in Carmel by the Sea. Get the best of all worlds at the Normany Inn on Ocean Ave in beautiful Carmel by the Sea, CA.